MWM NEWS BLOG: Featured. Computer Arts Magazine #158. Featured. 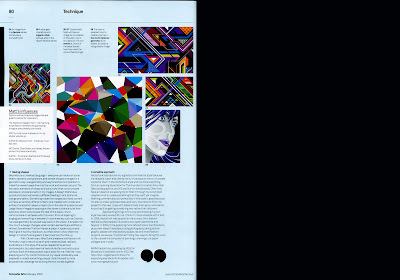 Computer Arts Magazine #158. 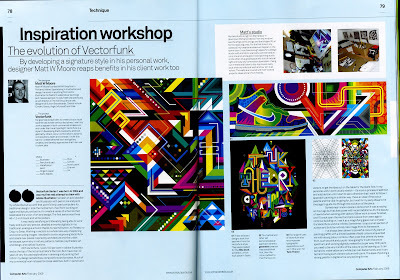 The new issue of Computer Arts has a 3-page feature about my current work and the process of experimentation that got me to where I am now with my signature "Vectorfunk" style of digital illustration. Click-Zoom. Also in this issue is a great feature with the homie Spaceknuckle, artworks from Alex Trochut, Mike Perry, Ravi Vasavan, and many more. CA158 is at the newsstands now. Check it out.